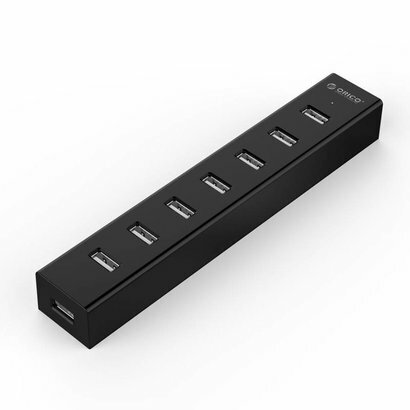 ORICO H7013-U2-03 7 Port USB 2.0 Hub, 1 Foot Data Cable, Black - NWCA Inc.
Built-in with a 3rd-gen VL812 SuperSpeed USB2.0 controller which provides an easy and reliable connection with a transfer speed of up to 480 Mbps that allows users to add four USB2.0 ports for your computer in seconds, setting aside less time for syncing and device switching and more time for work, also backwards compatible with USB1.1. It takes up a fraction of your limited desktop space and keeps it looking tidy. What's more, horizontally- positioned ports leave a wider space for USB connectors, and just enjoy your data transmission easier and faster. Five colors black, white, yellow, blue and red, choose your favorite. Plug and Play, hot swapping supported, no additional driver or application is needed so that you can transfer your data everywhere. You can easily confirm whether it works or not by the blue LED indicator. It is compatible with Windows XP / Vista / 7 / 8 / 10 / Linux / Mac OS. ORICO Hub does not serve as a standard charger or power supply unit for USB devices, please refer to original charger or ORICO Super Smart Charger while looking for a quick and standard power supply. 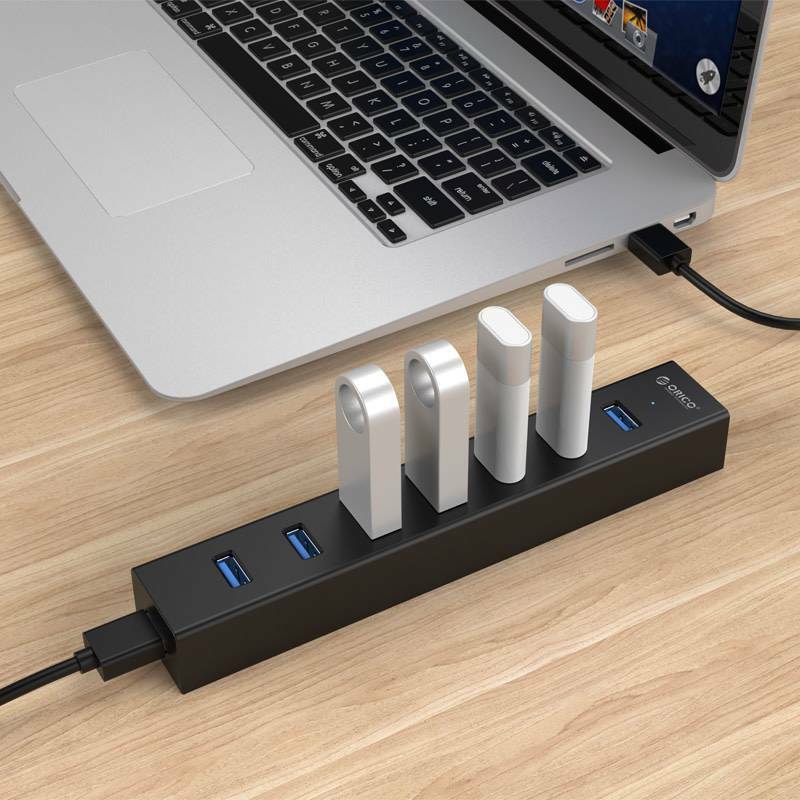 7-port USB expansion - Add 7 USB 2.0 ports for your computer in seconds. User friendly design - It takes up a fraction of your limited desktop space and keeps it looking tidy. Easy to use - Plug and Play, hot swapping supported, no additional driver or application is needed. Removable data cable - With a 1 Foot USB cable to attach to your computer. Compatibility - Compatible with Windows/XP/Vista/7/8, Mac OS and Linux.